If you're keen to track down an interesting neighbourhood in Townsville, you may like to check out South Townsville. Become absorbed in the incredible secrets of the world beneath the waves while viewing the creatures on display at ReefHQ Aquarium. 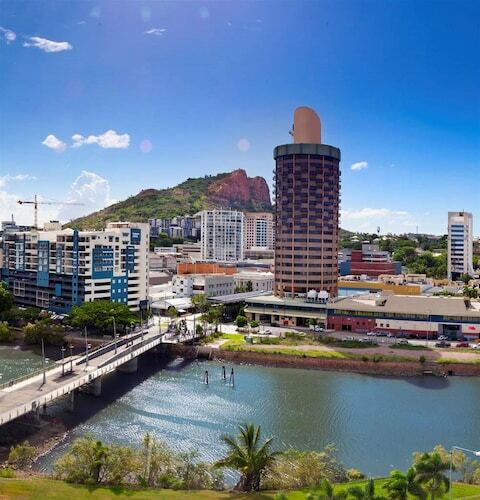 Consider the rates at the Mariners North Holiday Apartments and Quest Townsville to be nearby. You'll gain an understanding of the operational history of the region's nautical transport system at Maritime Museum of Townsville. 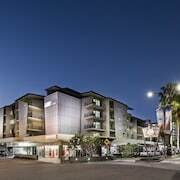 The Grand Hotel and Apartments Townsville and Oaks Gateway on Palmer are your leading choices for this spot. Every now and then you have to spoil yourself! Have a gander at the Park Regis Anchorage and Rydges Southbank Townsville, a couple of the more luxurious places to rest and relax in South Townsville. Pull yourself out of bed and treat yourself to a hot coffee at Reef HQ Great Barrier Reef Aquarium. This beloved South Townsville cafe will ensure your morning gets off to a terrific start. After you've ticked everything off your itinerary for the afternoon and your thoughts start drifting to dinner, why not head over to A Touch of Salt? This local favourite dishes up a range of filling meals that you'll be sure to enjoy. If you and your travelling partner can't find the ideal South Townsville hotel, check out the options in North Ward and Townsville. Wotif will help you sort it out, from hotels and flights to car hire and activities, when it is time to stop postponing your South Townsville holiday and start roaming. How Much is a Hotel Room in South Townsville? 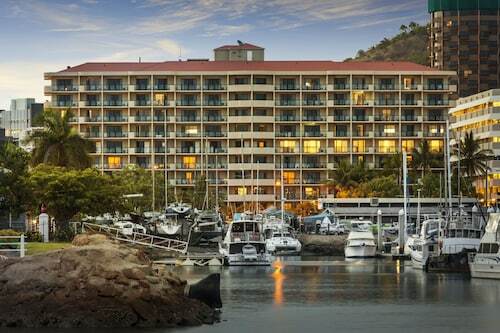 Hotels in South Townsville start at AU$98 per night. Prices and availability subject to change. Additional terms may apply. Fantastic location. Huge apartment for a 10 night stay plus full kitchen and laundry facilities. Location was great, bed was super comfy & desk staff wwre so friendly & helpful. The room itself was ok but is obviously older & refurbished, buy clean. One major issue though was that the rooftop pool is littered with low mounted cctv cameras which turned us off from using the pool which was a shame as the pool itself was inviting but the cameras made it feel creepy. Spacious and convenient. Well- located with all mod cons.